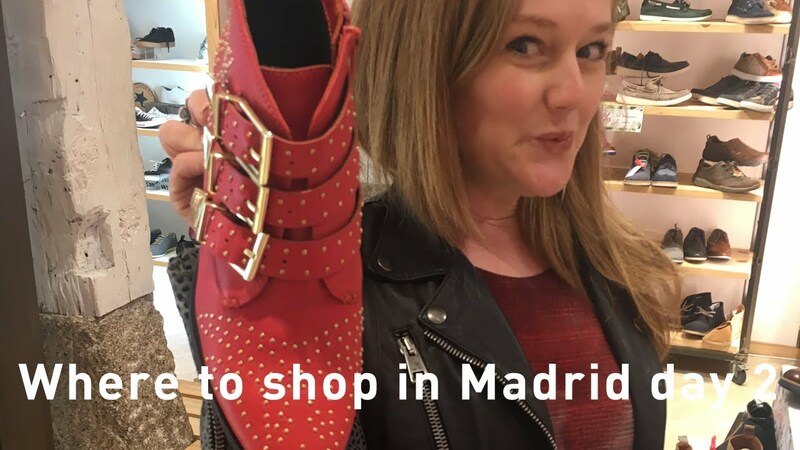 Spain is home to many of the high street brands we know and love. It offers many cost effective shopping options and a great selection from Spanish designers, for those who want something special. 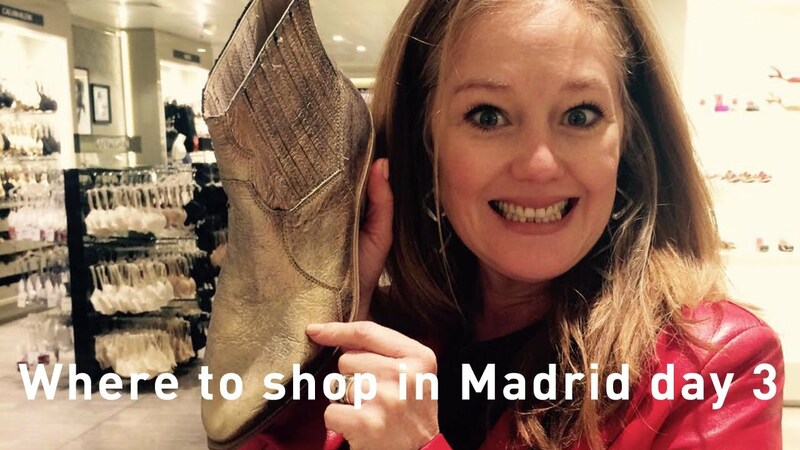 Meet her in either Barcelona or Madrid and experience a full day wardrobe makeover. Products and clothing are not included, but advice on any purchases will be given to ensure your purchases best suit your needs. Security Check What does 10 + 1 = ? Ola from Barcelona. I am here for a few days on a shopping trip. I'm going to discover and tell you the most amazing places to shop at every budget. La Rambla is a massive, busy street that runs through the city of Barcelona. Since it's so loud and so busy, I prefer to go to the side streets to shop. On La Rambla in the Gothic Quarter is Custo from Barcelona. The designer has an interesting use of colour, fabric and print. His styles are funky, but in a classic sort of way. He is a mid price range designer. Pieces cost in the region of €145. If you love beautiful sleepwear, swimwear and underwear, then Woman's Secret is the shop for you. Prices are reasonable and fits are amazing. Off La Rambla is Portal del Angel which is the high street of Barcelona. This is where you will find H&M, Mango, Zara etc. There are lots of cost effective places to shop in Barcelona. For day 2 of my shopping trip in Barcelona, I am in Placa de Catalunya. This is where everything happens. It is the place to be. It's also the best place to shop. The square is filled with stores as well the little side streets that lead off from the square. A shopping trip to Barcelona is not complete without a visit to Desigual. Especially this store as it's the flagship. It has 3 floors filled with clothing for ladies, men and children. The staff are also amazing. They make it a pleasurable shopping experience. When you come to Placa de Catalunya, you have to stop off at this massive Zara. I found some things that I haven't seen at other Zaras around the world because the Spanish are not afraid of bold colour, styling and print. Zara originally comes from Spain, so this is it's home town. Here is this massive department store, El Corte Ingles. It has several floors offering various brands and various price points. 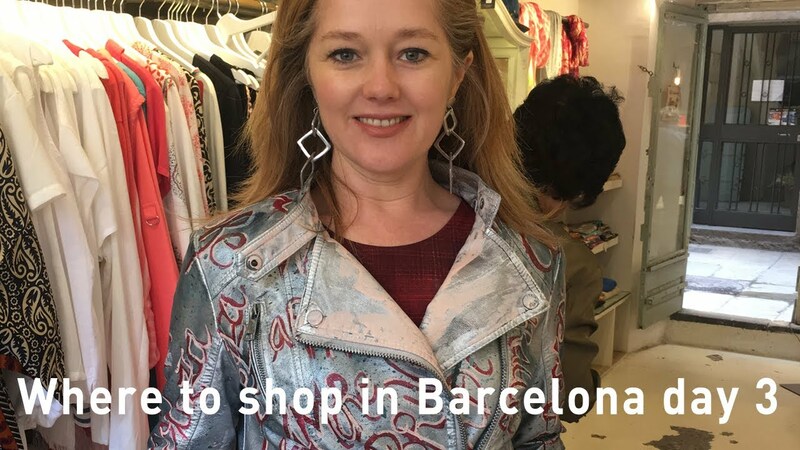 On day 4 of my shopping trip in Barcelona, I take you to the designer strip in Passeig de Gracia. This street leads off from Placa de Catalunya, so it's really easy to find. You will find top designer brands like Chanel, Gucci, Louis Vuitton, Longcamp etc. In the same street, scattered amongst the designer brands, you will find some fabulous high street brands that offer high fashion clothing at reasonable prices. A great example of this is the Spanish brand Stradivarius. They had some fabulous things in their store for Spring. There is also Bulevard Rosa Shopping Centre. It's a small centre, but it has some very interesting stores. It's here that I found The Outlet store. They have a few designer brands at knock down prices. There were also some lovely shoe stores ranging from €129 - €200. Ola from Madrid. I am here for a few days and I am going to discover and share with you, the best places to shop in this vibrant city. I am in Gran Via. This is the main high street shopping strip in Madrid. It has the most amazing options as far as affordable fashion is concerned. 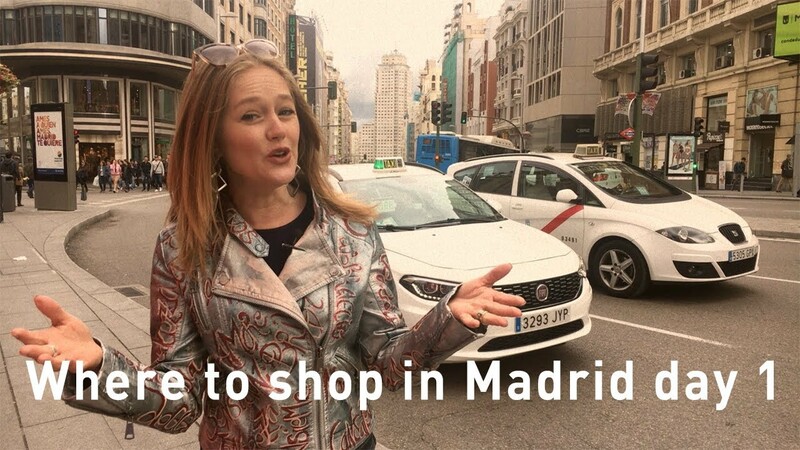 Even if you think you know Zara, Mango, Desigual etc, because you shop them in your own city, when you come to a different city, it's worth a pop in. What I find is that even the chain stores will vary according to the city. They take on the vibe of the city and it's people, so you may find some unique and interesting thing. Also something to note is that quite a few of the high street brands that we know and love like Zara, Mango, Desigual, Woman'Secret are from Spain. Here you may find some amazing things you might not find at the stores in your own city. Just off Gran Via is the Desigual flag ship store. This store is a real treat as even the decor fits in well with the Desigual styling. Once again, even if you have been to a Desigual before, you need to come and take a look at the one in Madrid. It even has an outlet floor filled with things on sale. One thing I've discovered about Madrid is that there is an abundance of affordable options together with some unique Spanish designers. For day 2 of my Madrid shopping trip, I am in Fuencarral street. You can get here from Via Gran, so it's easy to find. If you are a shoe lover, then this street in Madrid is shoe heaven. Come to Madrid with an empty suitcase. You are going to find amazing shoes for €30 or less. If you want something specialised, then you are looking at spending approximately €120 - €215. There is even a store for people who like the goth chic look. For day 3 of my shopping trip in Madrid, I am in the Salamanca district. If you want something a little more upmarket or designer brands, then this is where you need to come. Here you will find Lui Jo, Versace, Max&Co, Longchamp etc. In Calle Serrano, is the department store El Corte Ingles. They stock a variety of brands, everything from your top end brands to the mid range brands. For example, I bought these Gloria Ortiz gold boots for €109, but there were also shoes that I feasted my eyes on for €650. 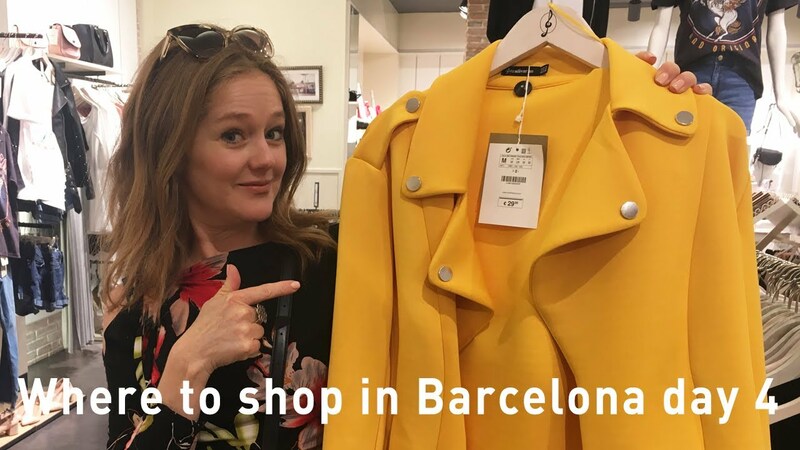 I'm back from my shopping trip in Barcelona and today I'm going to show you what I bought, how I wear it, with a few shopping tips thrown in. 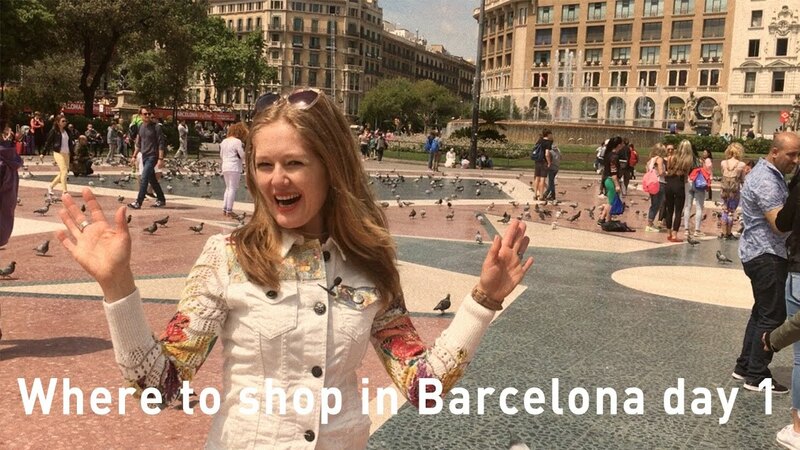 I loved my shopping trip Barcelona. What I really enjoyed was that I found some unique things that I haven't seen elsewhere and I didn't break the bank. They have a signature style that you either love or don't. I particularly love their denim jackets and they bring out different ones each year. Tip: When you are wearing a statement jacket like this Desigual one, then keep the rest of your look fairly simple. That way you wear the clothes, the clothes don't wear you. I was on the lookout for a beautiful one piece swimsuit. It's never an easy thing to find the perfect swimsuit. Tip: When going shopping for a swimsuit, try not to wear too many clothes as you are going to have to try on quite a few till you find your perfect one. Tip: Each store has a certain cut, so try various stores till you find a good cut for your shape, then try a few variations at that store. Tip: When you see a statement piece you really love, make sure you can wear it with a lot of other items in your existing wardrobe to make it worth the spend. There is beautiful jewellery in Barcelona at every price point. I bought these earrings which are lightweight and dynamic.